It is a great pleasure and a special honor to be taking part in this conference of communist, workers’ and anti-imperialist parties and organizations, that coincides with the 85th anniversary of the founding of the Communist Party of Turkey but also with important labor struggles that are taking place at this time as well as stepping up of the struggles of the Kurdish people for their rights. We greet the heroic struggles of Turkish communists, particularly under the present extremely difficult conditions, in which imperialism is becoming ever more aggressive and barbaric in all sectors. These are important meetings in which communists and other anti-imperialists can discuss forms of common action, the passage of the working class and popular movements to the counter-attack against the monopolies, imperialism and the capitalist system, and questions of the transition to socialism. ? ?We, in our countries, are experiencing a general offensive focused on capitalist restructuring and imperialist wars. On the one hand a great effort is being made so that the capitalist system addresses its crisis, contradictions and conflicts, to prevent new outbursts by the people and new social revolutions. On the other hand however, the margins for capitalism to maneuver and find effective remedies are narrowing. The system is becoming increasingly reactionary, which is why governments follow the "non-negotiable" political stance. Owing to these same developments, the struggle to resolve immediate problems now becomes organic part of the struggle for socialism, despite the fact that the subjective factor is weaker than in previous decades. But outside the ranks of the anti-imperialist anti-monopoly struggle with the prospect of socialism, no alternative is taking shape, particularly one with a realistic and viable prospect. In our view, we all need to make a common effort to study in greater depth the modern imperialist system, the multiple relations developing in the hierarchy of the imperialist pyramid, and the conflicts that arise. At the top is a system established by a handful of countries — the group of 7+1 of the jost powerful imperialist countries that exert their supremacy and reinforce oppression in jost of the world through a dense network of international organizations and treaties. The US, Japan, and the EU — with four European countries (Great Britain, Germany, France, Italy) in particular — are the leaders. Russia is also following closely. But around these forces and centers, there are a number of countries that play the role of the regional actor in the implementation of the imperialist policy, other countries that claim this role, others in a subordinate position, and yet others that function as mere pawns. There are countries, such as Greece, which are situated in a field of strong imperialist conflicts and antagonisms between the leading countries, and which play a dual, two-faced role of victim and victimizer at the same time. The general assessment is that the USA today holds the leading position in the imperialist system. The problem is that often this observation is used as an excuse to ease the responsibility of the other imperialist forces on crucial issues. What we saw, for example, during the war in Yugoslavia and even more clearly in Iraq, where geopolitical vested interests, markets and petroleum openly took the position of "humanitarian" justifications. Also, all the facts we have to date about capitalist restructuring and the Lisbon strategy show that they are of a class nature more generally and have not resulted exclusively from the hegemony of the USA, but from the internal needs of the capitalist system. This can be seen more characteristically in the case of Greece, which is no longer simply on the way to adapting to the EU and NATO. It has been incorporated in them and now takes an active part in imperialist planning in the region and beyond. In all sectors general privatizations are taking place, the regime of flexible labor relations is being imposed, social security is being undermined, and a mercenary army is being set up to act domestically against the popular movement and abroad against other peoples. The imperialists are united in their attack against the working people and are competing for markets and spheres of influence. New alliances are being formed, temporary or more permanent, on a regional level, such as in Southeast Asia and Latin America, in order to confront the hegemony of the USA. These alliances demand a role greater or equal to that of the USA in capitalist internationalization. Developments are accumulating which may possibly bring about realignments in the correlation of forces in the international imperialist system. On the political level, the jost powerful branch of international imperialism, with the USA as ringleader and on the pretext of "combating terrorism", has established the doctrine of the "global threat of terrorism" with the invisible enemy that is everywhere, and of the "pre-emptive strike". The new imperialist doctrines were implemented in Afghanistan and Iraq with devastating results. They can be seen in the aggressive policies and subversive actions and provocations against Cuba, the DPR of Korea, Syria, Venezuela, etc. NATO takes an active part, has been "transformed" and has stepped up its aggressiveness. It can marshal the jost flexible forces and is moving east. We also have the first operations of the EU rapid deployment forces in FYROM, Bosnia and Africa. The USA is not the sole and exclusive force constituting a military, political and economic threat and demanding to retain and augment its global hegemony against the peoples and its rivals among the imperialist forces. In the modern so-called anti-terrorist policy, other imperialist centers such as the European Union are also falling into line, despite the conflicts and competition between them. jost of the capitalist states are falling into line. Russia has likewise adopted the "anti-terrorist" policy. Many capitalist governments have turned their national legislation against the popular movement. They give their national military forces the "green light" to go abroad and take part in common action with the USA and NATO against other peoples and movements. The EU demands an equal role in imperialist actions, in enjoying the fruits of imperialist aggressiveness. In this regard, conflicts are manifested in one form or another indicating that they are becoming sharper, particularly after the enlargement of the EU and the increased US influence through the new states. The united imperialist strategy is manifested in the parallel course of enlargement of the EU and NATO. During recent years, relations between the USA and the EU have become more antagonistic and more complex owing to the fact that within the ranks of the EU internal conflicts are becoming more acute. Victims of this situation become all the people, as it is also shown in our region by the example of the Republic of Cyprus. Both within the EU as well as on a global level, realignments are taking place in alliances and blocs with the main rival imperialist states. Inside the EU member-states and within the context of the single area of "freedom, security and justice", military and police operations are being instituted. Justice is being adapted accordingly as machinery for legalizing state repression and action by the gigantic mechanisms being constructed. The fact should not escape us that in many European countries, Communist Parties are illegal; they are prohibited from operating in workplaces, thousands of communists are being prosecuted, and a new effort is being made in this direction through the anti-communist memorandum to the Council of Europe, the prosecution of communists in the Baltic countries and much more. The situation has become worse with the so-called "European Constitution". It is a new treaty that incorporates all the reactionary EU provisions and treaties. As a whole, the content of the "European Constitution" is fully harmonized with the interests of the monopolies and support for capitalist profit. The European army, the European police and the anti-terrorist laws all operate in the same direction. The message received from the people of France, the Netherlands and Luxembourg with a large percentage voting NO was strong and important, but it is not enough. Forces in Europe, particularly after the referendums, have to be freed from views about a different European constitution that would supposedly be more progressive. This is a great delusion that slows down the movement, puts a brake on the radicalism and dynamic that it contains. During the recent period, the EU is also promoting more resolutely implementation of the reactionary decisions made by the Lisbon Summit and of anti-terrorist laws, around which we believe that common fronts of struggle can be developed immediately. Positive facts such as the collapse of any illusions around the one-way street of "freedom of capital", the electoral victories by forces with popular support in various parts of the world, the large-scale mobilizations and demonstrations of the peoples’ anger, the uprisings in Latin America, the advancement of the antiwar movement and of course the progress in socialist Cuba, certainly do not mean that imperialism is on the brink of collapse. This question rises in an acute way in the EU on the occasions of the referenda or the recent elections results in Germany. In spite of the fact that, undoubtedly, they demonstrate that popular unrest is increasing towards the anti-popular policies of the EU and both liberal and social democratic governments, at the same time they touch and highlight the big question: with which line the struggle can become effective and effectual so that will not end into cooptation and incorporation as happened in similar cases in the past. This is why we have the opinion that these new facts, as well as the effort by social democracy, especially when in opposition, to regain its lost credibility, through the Social Forums for example, as well as the activity of international opportunism oblige us, in our view, to examine in depth what is the appropriate strategy and tactics for the labor movement on the national and international levels against capitalist restructuring, imperialist aggressiveness and barbarity. The common denominator of modern social democratic and opportunistic doctrines, despite their differences, lies in the fact that they seek to obscure the nature of imperialism as monopoly capitalism whose historic continuation is socialism. The adherents of classless globalization and other doctrines, whenever they are obliged to recognize the problems that accompany capitalism or whenever they criticize "globalization," propose the regulation of the global market as a solution, with recipes for managing the crisis. They systematically disseminate a spirit of defeatism, but also the illusion that radical changes will take place either everywhere or nowhere. They orient the working class toward abandoning the struggle for power on a national level, so that workers do not link the struggle dialectically with internationalist action, but become distanced from reality, preferring periodic international protests against global networks and corporations, and the logic of management. In contrast to the current grim reality, a "more ethical and humane" capitalism is put forward in which there can supposedly be simultaneous benefit for both the forces of capital and those of labor. We believe that, above all, we must confront systematically and demarcate opportunistic views and the logic of class reconciliation and collaboration. Without an ideological and political battle of this kind, essential steps cannot be taken towards unity of action by the working class and its radicalization on a mass level. The issue of resistance-break or assimilation is one of strategic importance for the labor movement. For this reason, ideological counter-attack is required on a national and international level on matters related to the strategy of the movement, and to the prospect of socialism. Various theories and doctrines are being disseminated and slogans are being launched by both liberal and social democratic parties, but rehashed by forces that tend toward compromise and assent-collaboration with social democracy and or with self-styled leftists. There has been an upsurge in recent years of theories, updated of course, about the end of the working class, and notions that we must look for "new revolutionary subjects" in the various movements or through the dispersion of the communist parties to broader formations. In this way they will supposedly acquire broader scope, "they will not be isolated" or "dogmatic", they will be able to "play the government game" and "influence developments". Some of the people who say these things do not understand that in this way they are digging their own grave, as well as that of the labor movement and the communist movement. They have learned nothing from the history of the communist movement, from centre-left governments and from the effects of the same or similar erroneous and historically outdated choices. It is of course true that on issues related to alliances and collaboration, many Communist Parties have correctly expressed the need to preserve the independence of the Communist Parties and have put forward a number of concerns about the systematic efforts being made to disperse communist parties, causing them to lose their identity. From this viewpoint too, the KKE believes that on an international level as well, the distinctive presence of communist parties is a very significant matter. As you know, our Party believes that a discussion must be held about creating a communist pole, i.e. a distinctive presence of communist parties on an international level. Thus it will become feasible, with every party retaining its independence and sovereignty, without hierarchies etc, for a common stance to exist on important issues, and for a space to be created in which communist parties with similar views, based on Marxism-Leninism, will be able discuss issues related to the strategy and tactics of the international communist movement, and to socialism as we knew it and as we want it based on positive as well as negative experiences, matters regarding alliances, proletarian internationalism, modern socio-economic developments in the imperialist system and other interesting issues that are of concern to them. At the same time, of course, bilateral and multilateral discussions, contacts and meetings can continue on an international and regional level with all communist and workers’ parties, with anti-imperialist movements and organizations. One does not conflict with the other. The contrary, we believe, is true. For the anti-imperialist struggle to go forward, for example, it is necessary that the moving force be the communist parties with their vanguard theory and practice. We communists believe that the working class has not only not lost its vanguard, leading role, but that at the present time, in the 21st century, this role is being objectively strengthened in terms of both its quantitative and qualitative features. To ensure that this role can be played subjectively is the duty of the class vanguard, the communist parties. I would like to repeat here emphatically that we are not at all in agreement with doctrines and theories which argue that the revolutionary subject must be sought outside the class movement of the working class, outside the alliance of the working class with the petty bourgeois strata of the city and the countryside, outside and beyond the ranks of the anti-imperialist anti-monopoly struggle, outside the communist and workers’ parties, but rather in some "new movements" such as the various social forums etc. We have no objection to the action of communists being expressed through mass movements, local, regional and international mobilizations of the labor and popular movement, since we believe that in this way thrust will be given to the effort to build a strengthened international anti-imperialist movement. This movement will rely on the movements of the working class, the movements that express other strata of the people, antiwar movements, movements for peace and the environment, youth and women’s movements and others. However, this international anti-imperialist movement should stay far away from business groups, international social democracy and the "New Left", all of which operate like a Trojan horse in movements and parties. They should stay away from the forces of compromise and assent that are overtly or covertly anti-communist. These are forces hostile to class social organizations, which they seek to replace with many Non-Governmental Organizations. Unfortunately these structures also derive power — in addition to the generous funding they receive from imperialist centers and bourgeois governments, and not just social democratic ones but liberal governments too — from the "alibi" that some communist and left wing forces give them by participating in such structures. In particular, in Europe where intra-imperialist conflicts are becoming sharper, since the USA wants more, virtually everything, in the distribution of the plunder, a number of social-democratic forces take initiatives so as to utilize and manipulate these movements along the line of support basically for French-German imperialism and for the EU more generally. We believe that it is necessary to step up political and ideological confrontation in order to address the disorientation of movements and the assimilation of political forces and into a struggle against neo-liberal management but without an anti-imperialist, anti-monopoly direction. In this way, the internationalization of the struggle against imperialism will take on a mass, constant nature and prospect, leading to socialism. Another characteristic example is the creation of the European Left Party which, in fact, is holding its founding conference in Athens this month. Allow me to say a few words about this. We have the opinion that the creation of the ELP expresses a tendency to submission, a defeatist acceptance of imperialist, bourgeois "legality". 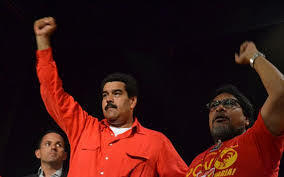 Forces played a leading role in establishing it which, just a short time ago, would not hear about even a simple coordination of communist and anti-imperialist parties and movements in Europe and internationally. But as soon as the European Commission gave the green light, they went ahead precisely as determined by the imperialist centre. This party rejects scientific socialism, communist traditions and values. It has selected the road of de-communization, of assimilation into the structures of the EU, an EU which is not of course for the peoples but for the monopolies, an imperialist structure, one of the main imperialist centers globally. The KKE, from its own experience, says clearly that "Europe" is not the "EU". The EU is profoundly divided in class terms and cannot be united, as the bourgeois class cannot be "united" to the working class. The Europe of socialism, the Europe of peace, of cooperation on an equal basis and of social rights is totally unrelated to the present structure, which some people are supposedly fighting to reform "democratically." The EU cannot be reformed; it will not change in the interests of the peoples. And the strategy of the European Left Party is a strategy of assimilating the movement into the capitalist system and into the EU. Moreover, this is not an alliance or a front but a united party. It denies the right of the working class to have its own independent political party. And that’s not all. The ELP also torpedoes the need for coordination and common action by communist parties. This is why we say that the creation of another pole must begin as soon as possible, one that will have a clear anti-imperialist, anti-monopoly, anti-capitalist orientation with socialism as its goal, and will respect the independence and responsibility of each party in developing the struggle in its own country. The KKE, an internationalist party from the beginning, will continue unwaveringly to support and to express in every way its solidarity with fraternal parties, with Communist and Workers’ Parties, with anti-imperialist movements and organizations and with peoples who resist imperialist aggressiveness.